Most of our clients’ headaches are indicators of systemic problems. One such issue that we are seeing a lot these days is a growing past-due backlog. Sales are increasing!! The client is now seeing more demand than they can handle. It is a classy problem; but it is a problem. If we don’t address the constraint and fulfill all the demand on time, we will start losing sales… and losing customers. Backlog improvement is one of our specialties. We find and eliminate the contributing causes of the problem. 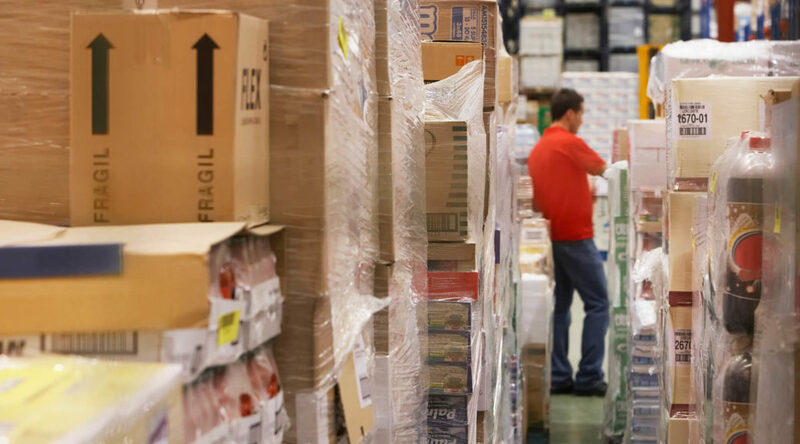 Four recent examples spring to mind, and each had different pain points – from manual inventory systems to lack of communication with suppliers. In every case, sales and customer relationships were in jeopardy. Past due backlogs led to missed deadlines, damaged reputations. Performance fell short of demand by as much as 30%. Long lead times and poor communication led to customer attrition with potential losses of up to 20% of total sales. Machining and Tooling: This company had past due backlogs in three different product families, demonstrating a widespread issue. There were no formal sales or operations planning tools in place. Inventory was out of control, and processes were both inefficient and entrenched. A two-day assessment helped us pinpoint root causes. We then carried out a short two-month initiative where we created a lean processes and eliminated the past due backlog. In the months since, they have not missed a customer commitment. Building Infrastructure: Another client was suffering from the best of all possible problems– increased demand. This highlighted weaknesses in their existing production systems, as their lead times expanded by four weeks. They risked losing as much as 30% of their sales as their largest client threatened to take its business elsewhere. We took a detailed look at their operations during a two-week assessment, then conducted a “quick kill” project designed to take care of the most pressing problems directly and with immediacy. A more detailed, three-month implementation project ensured that the new model was institutionalized, a crucial component to ensuring sustainment of such a monumental shift. Injection Molding/Sheet Metal Fabrication: This manufacturer came to us out of concern over expanding lead times and a growing past-due backlog. Now they are a classic success story. In this case, after our diagnosis we actually took on an interim leadership role to get the ship on an even keel. The result? In less than 8 weeks, we increased output by more than 300%. Yes, you read that correctly – 300%! This allowed them to substantially increase their monthly sales (see the Quantified Impact sidebar for details.) What’s more, we did this without any increase in labor hours. CapEx? Zero. Plastic Disposables: One of this client’s key plants was a standout for all the wrong reasons. It was losing $2 million a year and inefficiency was the inevitable culprit. The client was also losing new sales because they couldn’t count on the plant’s actual throughput capabilities. This is another example of where we’ve played an interim management role to enable urgent issues to be triaged and symptoms to be quickly relieved – all prior to so that we can relieve the symptoms straight away, even before teaching the organization to sustain the new approach. By implementing production scheduling and lean principles, we were able to demonstrate an 18% increase in throughput within the first 2 1/2 weeks of our 3 month assignment. Performed customized assessments tailored to the needs of each client. Applied lean principles to production lines, production scheduling, and inventory management. Participated in one client’s top customer to lay out the changes being implemented and allay fears. Took on temporary leadership roles where necessary to usher in change and create the path to sustainment. Increased one client’s monthly sales by $1,500,000 monthly, a 22% increase. Increased another’s production throughput from 69% to 102.5%, a $27 million annual increase – a company record. Reduced all clients’ backlogs to near zero. Help you win good deals (and avoid bad ones!) through our pre-close “QofOps”. Help your management teams as they transition from an entrepreneurial approach to a scalable, process driven leadership path. Help you maximize the value of your portfolio companies through the implementation of operational excellence. We focus on three sectors: consumer products, manufacturing and distribution. We have experts in Lean Manufacturing, Six Sigma, Sales and Operations Planning, Inventory Strategy, Sourcing, Logistics and Human Capital Development. We were founded in 1995 and are headquartered in Chicago.